Kristen Cliffel is a 2015 recipient of an Ohio Arts Council Individual Excellence Award, and 2013 Creative Workforce Fellow through the Community Partnership for Arts and culture. 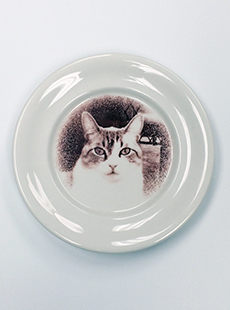 She graduated from the Cleveland Institute of Art with a BFA in ceramics, and her work can be found in many public and private collections throughout the United States. “This work is a celebration of the intimate bond that humans and animals have developed over the centuries. Friendship and love know no boundaries in the realm of the inter-species bond. 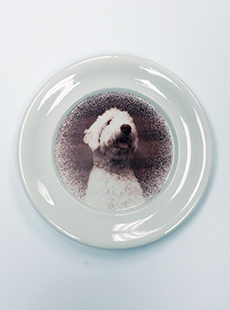 Kristen’s ceramic plate portraits are available in two sizes: 7 1/4″ diameter or 9″ diameter. Each commissioned portrait takes about six to eight weeks to complete, and is completely original, based on the photograph that you provide. Artist signed.